- Modeling and optimization of separation processes, such as adsorption and membrane separation. 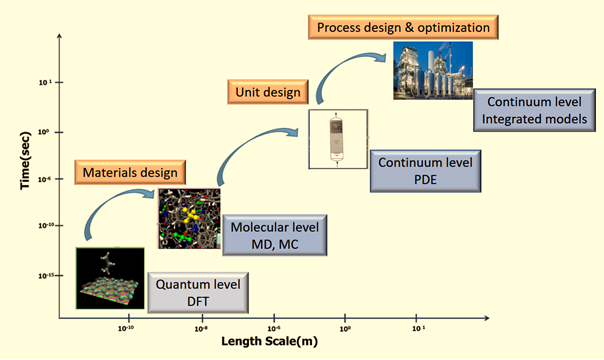 - Molecular modeling of materials, such as zeolites, MOFs, polymers and polymer composites. - Computational screening of catalysis. We join our efforts to MEMASEP (Membrane Materials & Separation Technologies Research Laboratory) by bridging modeling and experiment to find solutions to the energy and water related problems of the society. Please visit our Research page for detailed descriptions of our past and current projects. The related article: B. Demir, M. G. Ahunbay, “Prediction of Perfluorohexane Adsorption in BCR-704 Zeolite via Molecular Simulation”, Fluid Phase Equiblibria, 366, 152-158 (2014), doi:10.1016/j.fluid.2013.07.009.